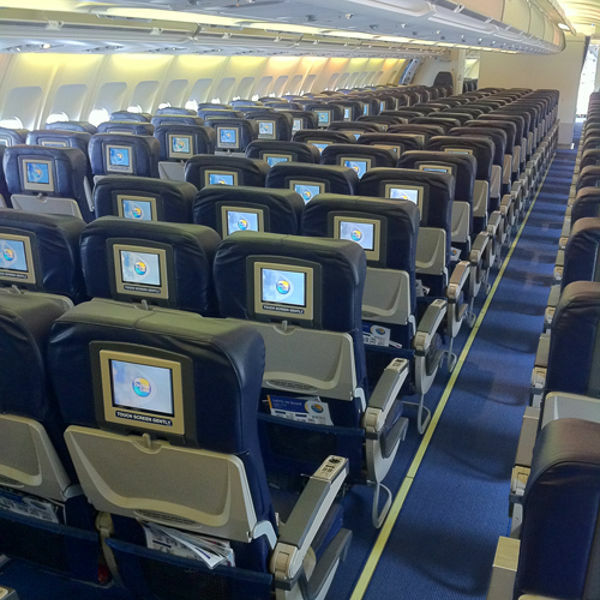 With some of Thomas Cook’s Airbuses having recently been refurbished, you can enjoy wider cabins, that provide extra storage space and legroom. With top UK chef James Martin designing a specialised in-flight menu, you can enjoy a flavourful meal with all the trimmings, even at 35,000 feet in the air! Fly in style with ergonomically-designed seats, award-winning customer service and first-rate entertainment at your fingertips. 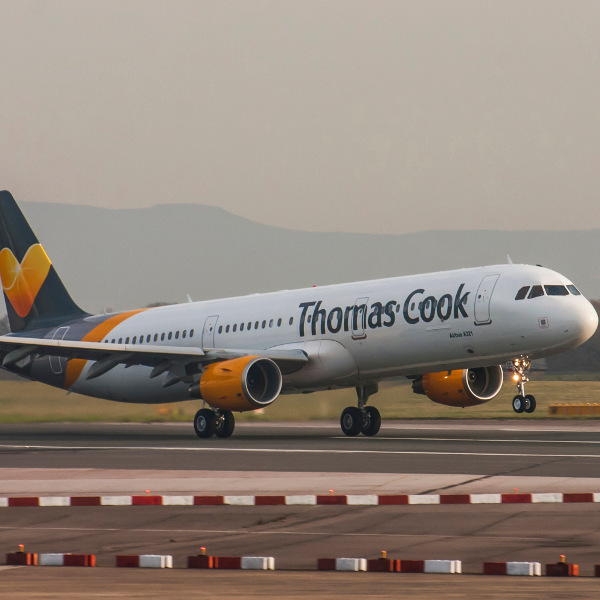 As part of the wider Thomas Cook Group, Thomas Cook Airlines UK is partnered with Thomas Cook Airlines Scandinavia, Thomas Cook Airlines Balearic and Condor. Based at its two hub airports, Manchester and London Gatwick, Thomas Cook UK flies to over 70 destinations across all major continents. With 34 aircraft making up its impressive fleet, Thomas Cook’s airplanes consist of Airbuses and Boeings operating short and long-haul flights. This award-winning airline has won the World Travel Award for Europe’s Leading Charter Airline and World’s Leading Charter Airline since 2015. 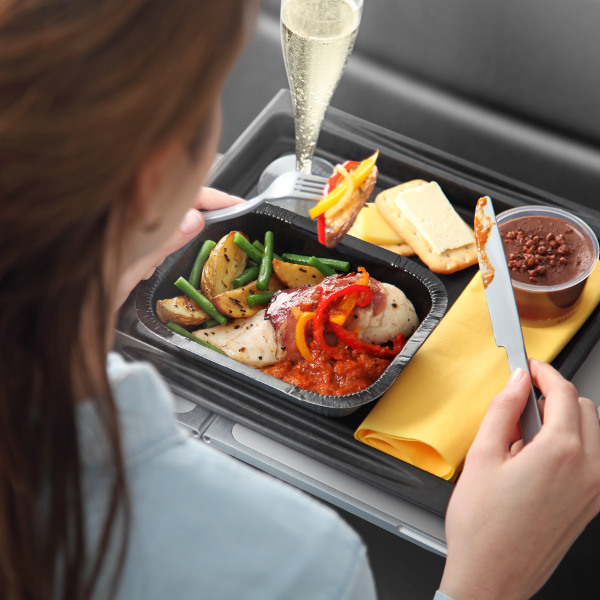 With their outstanding customer service, premium cabins and top-notch dining, it’s not difficult to see why Thomas Cook is the preferred airline for many travellers. Book Thomas Cook Airlines flights to Cancun, Dalaman, New York and other exciting places! Thomas Cook’s baggage allowance varies according to the destination. All routes and cabin classes are permitted a hand luggage allowance of 10kg (except Economy Class to zones 3-5, which permits 6kg). Additional luggage can be purchased in advance or at the airport. For discounted fees on extra luggage, you are advised to pre-purchase online. Customers travelling with Thomas Cook Airlines can check in online or at the airport. Check in to your flight in the comfort of your home or office. Online check-in points are also available at selected airports. You can also load your boarding pass onto your mobile device to show at the airport. Online check-in is available from 24 hours to 2 hours before departure. This option is available for groups of up to 9 passengers. You are advised to be at the boarding gate 45 minutes before take-off. Skip the queues and check in at the self-service check-in machines available at selected airports. This option is available up to 1 hour prior to flight departure. Save yourself the stress of checking in the day of your flight by checking in the night before. This service is available at Gatwick and Manchester airports at a surcharge of £5/ €5. Simply proceed straight to your boarding gate on your day of departure. This sundown check-in service is available free of charge to Premium Class passengers. Thomas Cook Airlines operates flights throughout Europe, North America, Africa, Asia and the Caribbean.